​ABL ended Asian Pacific American heritage month with some drinks, appetizers and a chance to connect with like-minded individuals at Toy Soldier on 52 Belden Palce in SF. For the second year in a row, the Bay Area's Asian professional leaders and organizations hosted a joint networking mixer in celebration of Asian American and Pacific Islander Heritage Month. The mixer kickoffed off APA Heritage Month and took place on the outdoor patio of Jones, located at 620 Jones in San Francisco. May 2018 marks the 40th anniversary of Asian Pacific American Heritage Month (APAHM), which celebrates the culture, history, traditions, achievements and contributions of Asian Americans and Pacific Islanders in the United States. Over 70 teens joined ABL on Feb. 9 for our Career Day and Pizza Dinner, organized in partnership with the Chinatown YMCA and Vietnamese Youth Development Center. Thanks to Salesforce for sponsoring the event. 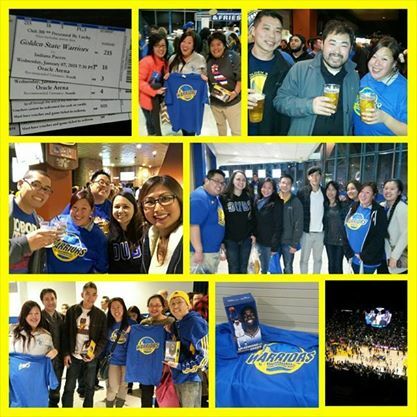 ABL-SF cheered on our NBA Champions - the Golden State Warriors on Dec. 11th as they took on the Portland Trail Blazers. First ever joint Asian Pacific American Holiday Party co-organized by the Asian Business League of San Francisco in partnership with the APA Heritage Foundation, Asian American Bar Association of the Greater Bay Area, Asian American Donor Program, Chinese Culture Center of San Francisco, Chinese Real Estate Association of America, Corporate Asian American Employee Network, Nakayoshi Young Professionals, San Francisco Chamber of Commerce, Taiwanese American Professionals - San Francisco, and Your Filipino Professionals Association took place on November 28 at David Rio Chai Bar. Due to the success of our first ever joint mixer in celebration of Asian Pacific American Heritage Month this past May, our groups decided to once again collaborate and host a holiday party. For additional event photos by Angela Pang, click here. San Francisco teens learned about credit: the good, the bad, and the ugly of borrowing money on Friday, October 13 at the Chinatown YMCA. Topics included: How do credit cards work? What is compounded interest? Did that pair of new shoes really cost you the amount you charged on your card? The event was sponsored by Wells Fargo and Bank of the West. 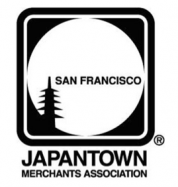 The Asian Business League of San Francisco organized a fun Friday evening at the historic San Francisco Fly Trap located at 606 Folsom Street in San Francisco from 5:30pm to 7pm. Proprietor and mixologist extraordinaire Valen West presented two classic whiskey drinks and one special creation: Old Fashioned, Boulevardier, and Blonde Manhattan. The Asian American Bar Association of the Greater Bay Area, Asian Business League of San Francisco, and Your Filipino Professionals Association monthly joint hike took place at Redwood Regional Park in Oakland and was an easy-moderate 3.7 mile hike. The Asian American Bar Association of the Greater Bay Area (AABA), the Asian Business League of San Francisco (ABL-SF) and Nakayoshi Young Professionals hiked Mori Point in Pacifica. The Asian American Bar Association of the Greater Bay Area (AABA), the Asian Business League of San Francisco (ABL-SF) and Nakayoshi Young Professionals hiked the Land's End Trail in San Francisco on July 27th. Each year ABL-SF organizes an annual series of work site visits during which students have the opportunity to learn about and see first-hand how businesses operate. Through these visits students learn about careers in financial services, marketing, operations, human resources, public relations and management as well as important concepts such as customer service, business strategy and entrepreneurship. Thanks to ABL-SF Vice President Cindy Vu Garcia, teens from the Chinatown YMCA's summer program got to visit Airbnb in San Francisco. Previous site visits include Wells Fargo, PG&E, Sports Basement, the San Francisco Food Bank, the San Francisco Giants, Pocket Gems and San Francisco City Hall. The Asian American Bar Association of the Greater Bay Area (AABA), the Asian Business League of San Francisco (ABL-SF) and Nakayoshi Young Professionals hiked the Dipsea Steep Ravine Matt Davis Loop Trail, a 6.8 mile trail near Stinson Beach, California on June 24th. The APA Heritage Foundation, Asian American Bar Association of the Greater Bay Area, Asian Business League of San Francisco, Asian Pacific American Bar Association Silicon Valley, Chinese Real Estate Association of America, Corporate Asian American Employee Network, Filipino American Bar Association of Northern California, Miss Asian Global and Miss Asian America Pageant, Nakayoshi Young Professionals, National Association of Asian American Professionals San Francisco Bay Area, San Francisco Chamber of Commerce, South Asian Bar Association of Northern California, Taiwanese American Professionals - San Francisco, Vietnamese American Bar Association of Northern California, Vietnamese Youth Development Center and Your Filipino Professionals Association hosted the first ever joint mixer in celebration of Asian Pacific American Heritage Month on May 17th at Jones in San Francisco. We were pleased to see over 200 of our members and supporters in attendance, exchanging business cards and connecting with both new and old friends. For additional event photos by Frank Jang, click here. KPIX CBS San Francisco Bay Area, KBCW TV, KCBS All News Radio, 99.7[NOW! ], Alice@97.3, LIVE105 in collaboration with ABL-SF (Asian Business League of San Francisco) and Oakland Asian Cultural Center kicked off Asian Pacific American Heritage Month which is celebrated nationally every May at CBS studios located at 855 Battery St. in San Francisco on April 26, 2017. KPIX TV, ABL-SF, and OACC were honored by the California Board of Equalization Member Fiona Ma's office with certificates in recognition of their leadership role and contributions to the APA community. ABL-SF continued our small business spotlight series, highlighting Sam Wo Restaurant, which has been a Chinatown staple for over 100 years on April 20. The first 15 guests received a souvenir DVD highlighting Sam Wo's colorful history produced by local sports anchor and reporter Rick Quan. Steven Lee was on hand to share how he and Jonathan Leong along with other investors helped fund the reopening of Sam Wo and found a new Chinatown location for the restaurant after it closed in 2012. Julie Ho, daughter of owner/chef David Ho, shared her family's history and colorful stories about the restaurant. ABL-SF organized a team for a fun trivia night at Rosenblum Cellars located at 10 Clay St. in Oakland. There were five rounds of ten questions on pop culture, music, and more, and our team - Crimson Flights, finished in first place! The Asian Business League of San Francisco (ABL-SF) celebrated the Year of the Rooster on Thursday, Feb. 23, 2017 at Capital One Cafe - Union Square located at 101 Post St. in San Francisco. ABL-SF aims to INSPIRE, CONNECT and ENGAGE leaders within the Asian American/Pacific Islander business community. www.ablsf.org. A big thank you to Capital One for hosting us and sponsoring the event! For additional event photos, click here. Gino Ramos, Operations Manager at Salesforce andCo-Founder of OutForce, salesforce.com's Lesbian Gay Bisexual Transgender & Allies Employee Resource Group (LGBTA ERG). For event photos, click here. ABL-SF organized e meeting with fellow Asian Pacific American professional group leaders from the Asian American Bar Association, Chinese Real Estate Association of America, Corporate Asian American Employee Network, National Association of Asian American Professionals, Nakayoshi Young Professionals, SF Chamber of Commerce, Taiwanese American Professionals, and Your Filipino Professionals Association on ways we can collaborate and engage the professional APA community. The Asian Business League of San Francisco celebrated the holidays on Wednesday, December 7th from 6-9 p.m. at Infusion Lounge located at 124 Ellis St. in San Francisco. Attendees came dressed in their "Ugly Christmas Sweater" and had their picture taken at our photo booth generously donated by A Vanity Affair. Guests enjoyed complimentary massages courtesy of David Holcomb. New toys were collected and will be donated to the Vietnamese Youth Development Center. Special thanks to our community partners: Asian American Bar Association of the Greater Bay Area, Asian Business Connectors, Chinese Real Estate Association of America, Corporate Asian American Employee Network, igniteXL, Korean American Professional Society, Nakayoshi Young Professionals, National Association of Asian American Professionals, Oakland Asian Cultural Center, SF Chamber of Commerce, SF Hep B Free, Taiwanese American Professionals-SF, and Your Filipino Professionals Association. The ABL-SF (Asian Business League of San Francisco) cheered on our 2016 Western Conference Champions - the Golden State Warriors on Thursday, Dec. 1 as they took on the Houston Rockets at 7:30 p.m. ABL was joined by our friends at Nakayoshi NCWNP Young Professionals and the Asian Business Connectors. The Asian Business League of San Francisco is proud to have once again produced the highly acclaimed You are the CEO of You! Leadership Program which kicked off on Sept. 13 and concluded on November 7. This bi-weekly five-part series has been uniquely developed for Asian professionals, men and women, with managerial experience. Each session was carefully designed to provide an intimate learning environment for each participant and allowed them to explore concepts and acquire the skills necessary to achieve personal and career success. 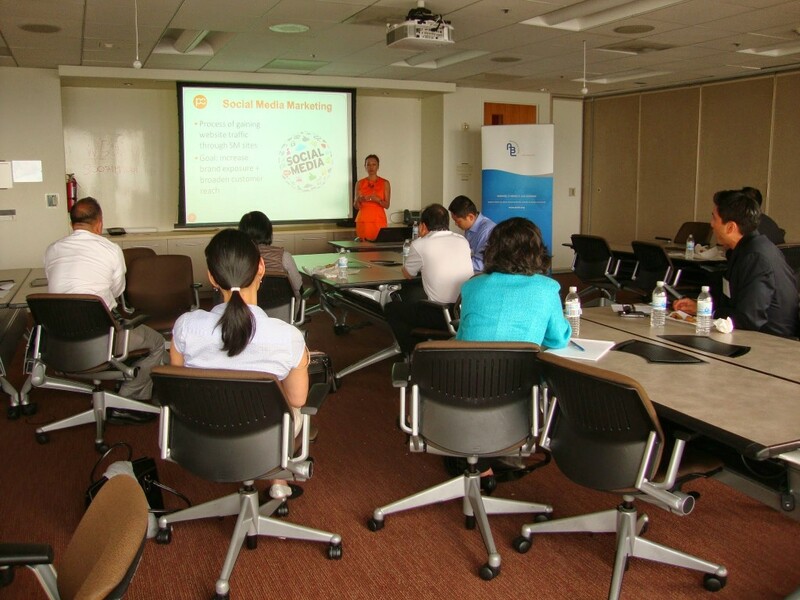 The program addressed unique issues and challenges confronted by many Asian professionals. Speakers included Buck Gee, retired from Cisco Systems who discussed what it takes to be an Asian American leader, Stephen Jeong, Waypoint People Solutions, who discussed leadership styles, and Eugene Lee of Artiman Ventures, who discussed Managing vs. Leading, Miriam Lopez, Chevron, who discussed effective communication techniques, and Rick Gutierrez of SOAProjects who shared tips for career changes and advancement. Sessions were facilitated by Michael Soon Lee, EthnoConnect Founder and CEO. Thanks to our ABL-SF Board Members Keith Koo and Jinah Oh for chairing the program! Special thanks to Davis Wright Tremaine for hosting sessions 1-4 and the Small Business Administration for hosting session 5. ABL-SF (Asian Business League of San Francisco) teamed with our friends at the AABA - Asian American Bar Association of the Greater Bay Area andOakland Asian Cultural Center for a joint hike to Tilden Regional Park - along the Nimitz Way Trail on September 24th. 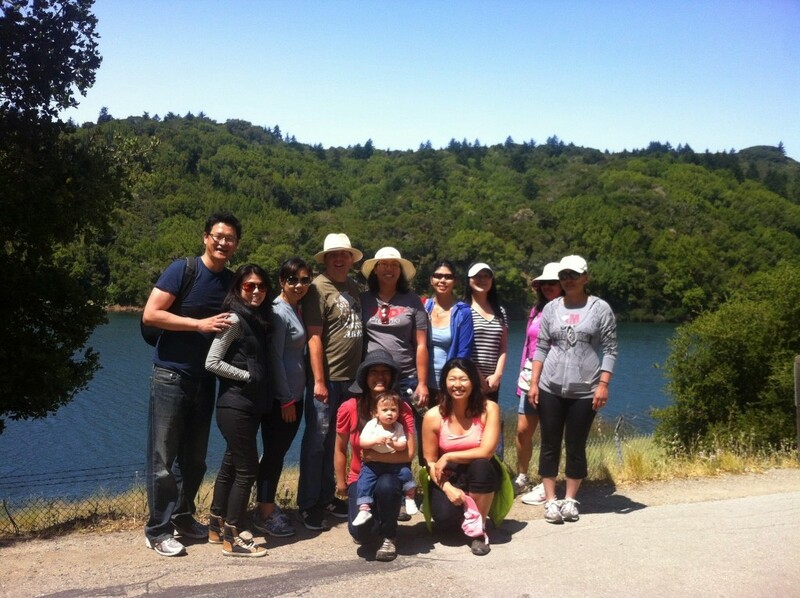 Thanks to AABA - Asian American Bar Association of the Greater Bay Area's John Lough, Jr. for leading this hike! ABL-SF, AABA, and OACC's joint hikes will take place the last weekend of every month and will be a fun and informal way to meet new people, network, and explore the beauty of the Bay Area. For additional photos courtesy of AABA click here. The Asian Business League of San Francisco and the Chinatown YMCA hosted a free Interview and Resume Workshop for Teens on Friday, September 16. Students were interviewed in 10-15 minute intervals and they immediately received constructive feedback from their interviewer. Ongoing breakout sessions occurred throughout the event focusing on resume tips, attire do's and don'ts, communication and etiquette, and students also participated in a brief online career assessment test. Special thanks to our ABL youth program sponsor Wells Fargo and to the mock interview and workshop event sponsors Bank of the West, Recology and the Japantown Merchants Association. Thanks also to our volunteers from Bank of the West, Wells Fargo and Lyft for coming out to share their tips with the youth! The Asian Business League of San Francisco teamed up with our friends at the Asian American Bar Association of the Greater Bay Area and Oakland Asian Cultural Center for a joint hike to Crystal Springs, San Mateo on Saturday, August 27. 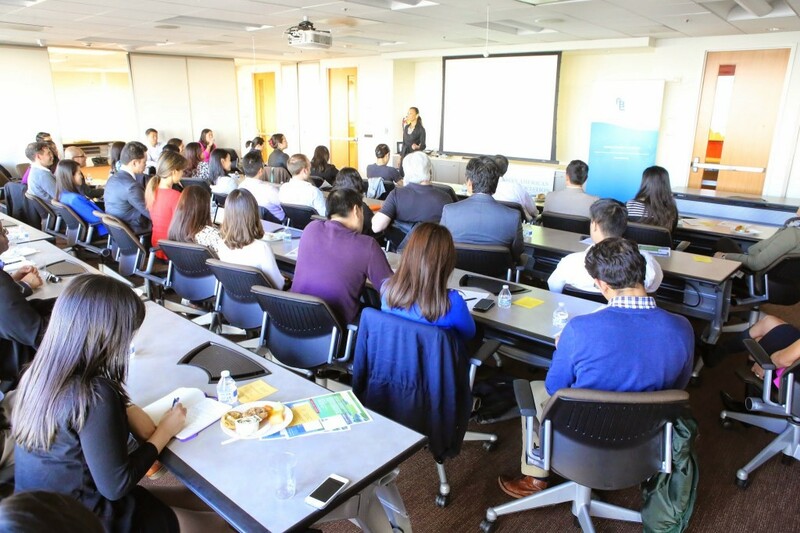 The Asian Business League of San Francisco organized a financial planning workshop for young Asian professionals on Tuesday, Aug. 2 at New York Life located at 425 Market St. Suite 1600 in San Francisco. The event was sponsored by Wells Fargo and featured an expert panel including financial advisor and ABL-SF Vice President Mike Pyon, Wells Fargo financial advisor Chiu Wu, and Clifford Cheung, CPA. Panelists discussed creating a budget, life and cash flow management, wealth accumulation, retirement planning, investment opportunities with tax shelters and more. The Asian Business League of San Francisco teamed with our friends at the Asian American Bar Association of the Greater Bay Area and the Oakland Asian Cultural Center for a joint hike to Mori Point in Pacifica on Saturday, July 30th. 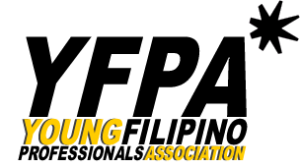 This hike was led by AABA's John Lough, Jr.
ABL-SF and AABA's joint hikes will take place the last weekend of every month and will be a fun and informal way to meet new people, network, and explore the beauty of the Bay Area. ABL's hikes will take place the last weekend of every month and will be a fun and informal way to meet new people, network, and explore the beauty of the Bay Area. ABL-SF organized an office visit for approximately 30 teens from the Chinatown YMCA's summer program to visit Pocket Gems, a San Francisco based start up whose mission is to be one of the world’s great creators of innovative interactive entertainment on mobile. Several employees talked about their roles in the company and the paths they took to get there. Each year ABL-SF organizes an annual series of work site visits during which students have the opportunity to learn about and see first-hand how businesses operate. Through these visits students learn about careers in financial services, marketing, operations, human resources, public relations and management as well as important concepts such as customer service, business strategy and entrepreneurship. Previous site visits include Wells Fargo, PG&E, Sports Basement, the San Francisco Food Bank, the San Francisco Giants, and San Francisco City Hall. ABL-SF (Asian Business League of San Francisco) launched our small business spotlight series on June 8th, highlighting Socola Chocolatier, co-founded by Vietnamese sisters Wendy and Susan Lieu. Based in San Francisco, Socola Chocolatier handcrafts artisanal confections with modern flavors and a fantastic taste of fun. Named after the Vietnamese word for "chocolate," Socola prepares all its truffles with unique, cosmopolitan flavors, including burnt caramel with sea salt, guava, beer, sriracha hot sauce and more. Guests enjoyed a chocolate and tea pairing and a portion of all items sold during the evening benefited ABL-SF. Established in 2005, the Asian Pacific American Heritage Awards promotes public awareness of Asian Pacific American Heritage Month and to coordinate the San Francisco’s annual official celebration. Each year the celebration recognizes Asian Pacific American individuals and organizations that have made a positive impact in their community. In addition to cultural performances and live entertainment, the event brings together the Bay Area community in celebration of Asian culture and heritage. ABL-SF tabled at the reception at City Hall. For more info: apasf.org. ABL-SF (Asian Business League of San Francisco) and AABA - Asian American Bar Association of the Greater Bay Area hosted our monthly joint hike on April 30th at Briones Regional Park. Thanks to AABA - Asian American Bar Association of the Greater Bay Area's John B. Lough Jr. for leading and co-organizing the hike and to everyone who made it out! ABL-SF and AABA's joint hikes are a fun and informal way to meet new people, network, and explore the beauty of the Bay Area. The next hike is scheduled for June 25, location TBA. For more pictures from the hike, click here. KPIX CBS San Francisco Bay Area, KBCW TV, KCBS All News Radio, 99.7[NOW! ], Alice@97.3, LIVE105 in collaboration with ABL-SF (Asian Business League of San Francisco) and Oakland Asian Cultural Center kicked off Asian American and Pacific Islander Heritage Month which is celebrated nationally every May at CBS studios located at 855 Battery St. in San Francisco on April 28, 2016. Over 150 professionals were in attendance including Survivor contestants Tai Trang and Yau-Man Chan and the CBS on air team including Ken Bastida, Kenny Choi, Veronica de la Cruz, Elizabeth Cook, and Dennis O'Donnell. Thanks to our in-kind donors A Vanity Affair, Kieu Hoang Winery and Socola Chocolatier. Special thanks to KPIX CBS San Francisco Bay Area for hosting this annual celebration! Fore more photos event photos, click here. ABL-SF (Asian Business League of San Francisco) organized a free Career Discovery Day panel discussion for high school and college students to start thinking about various professions before they enter the work force on Friday, March 18 at the Chinatown YMCA located at 855 Sacramento St. in San Francisco. Speakers included: Chinese Hospital nurse Yan Ling Chen, Retired Air Force Lt. Colonel Roger S. Dong, Chinese Hospital nurse Jennifer Li, San Francisco Police Department officer Moli Finau, Miss Asian America Stephanie Lin, Zynga software engineer Jay Ramirez-Sanchez, and Google hardware test engineer Calvin Wong. Thanks to EverBank for sponsoring a pizza dinner for the 50 kids that attended. This program was also supported by Bank of the West. The mission of ABL-SF's Youth Program is to empower youth to make informed career decisions and to encourage early planning and preparation for their careers. One of the most pressing needs for youth is to bridge the gap between the classroom and the workplace. For more info about ABL-SF, visit: ablsf.org. Joint hike with our friends at the Asian American Bar Association of the Greater Bay Area to Sweeney Ridge in Pacifica, on Sunday, February 28. The ridge’s 1,200-foot-high summit, covered with coastal scrub and grassland, slopes down to the bay on one side and to the Pacific on the other. Wildlife at Sweeney Ridge includes hawks, deer, and a plethora of both native and introduced spring wildflowers. The sandy coastline and adjacent wind-protected valley of Thornton State Beach are good venues for picnicking, beach walking, surf fishing, and flying remote-control gliders. Dogs are permitted on leash. ​Approximately 100 professionals joined ABL-SF (Asian Business League of San Francisco) in celebrating the Year of the Monkey on Thursday, Feb. 25, 2016 at Capital One 360 Cafe located at 101 Post St. in San Francisco. Attendees enjoyed catering by Onigilly and Salt and Honey Catering and lined up to get a free astrological reading, courtesy of Ken Hirano and palm reading courtesy of Dr. Thanu Pilllay of palmistry.org. THANKS TO OUR LUNAR NEW YEAR PARTY SPONSORS! Special thanks to our community partners for the event: Asian American Donor Program (AADP), Corporate Asian American Employee Network (CAAEN), Chinese Real Estate Association of America, Filipino American Arts Exposition (FAAE) / Pistahan Parade and Festival, Japantown Merchants Association of San Francisco Korean Center, Korean American Professional Society (KAPS), Nakayoshi NCWNP Young Professionals, Nihonmachi Street Fair, Oakland Asian Cultural Center, San Francisco Chamber of Commerce,Taiwanese American Professionals - San Francisco Chapter (TAP-SF) and Your Filipino Professionals Association. Photos by Michael Jeong Photography can be viewed here. Two hundred professionals came to celebrate the Asian Business League - San Francisco's (ABL-SF) 35th Anniversary on Friday, Nov. 6 at the InterContinental Hotel. The event honored two organizations for their work in inspiring, connecting, and engaging the community - the Asian American Donor Program (AADP), a nonprofit organization dedicated to increasing the availability of potential marrow and stem cell donors for patients with life-threatening diseases curable by a marrow and stem cell transplant, such as leukemia and lymphoma and Asian-owned VegiWorks, Inc. which has been in business for 23 years delivering fresh fruits and produce as well as dry goods, dairy and frozen products to restaurants, hotels, and caterers in the Bay Area. ABL-SF Alumni Leadership Awards were also given to Claire Chang, Luen Lam, and Michael Soon Lee for their exceptional efforts towards promoting and developing Asian American leaders in the community. Da Lin, KPIX 5 News reporter emceed the event. The event was sponsored by Westlake Urban, Comerica Bank, Union Bank, Bank of the West, DAE Advertising, East Bay Municipal Utilities District, and Luen Lam and Judie Ngov. Attendees had a wonderful time playing casino games and at the end of the night, traded in their chips for a chance to win some great prizes. Since its founding in 1980, ABL-SF boasts a rich history of persevering dedication and support for the promotion of leadership in business within the Asian Pacific American and Islanders (APA/I) community. ABL-SF was, in fact, one of the first nonprofit organizations in California to focus exclusively on Asian trade and business. Regularly-held events such as seminars, leadership training programs and social networking functions provide members with ongoing opportunities to: develop and enhance business leadership and management skills, and establish strong relationships with other APA/I professionals. 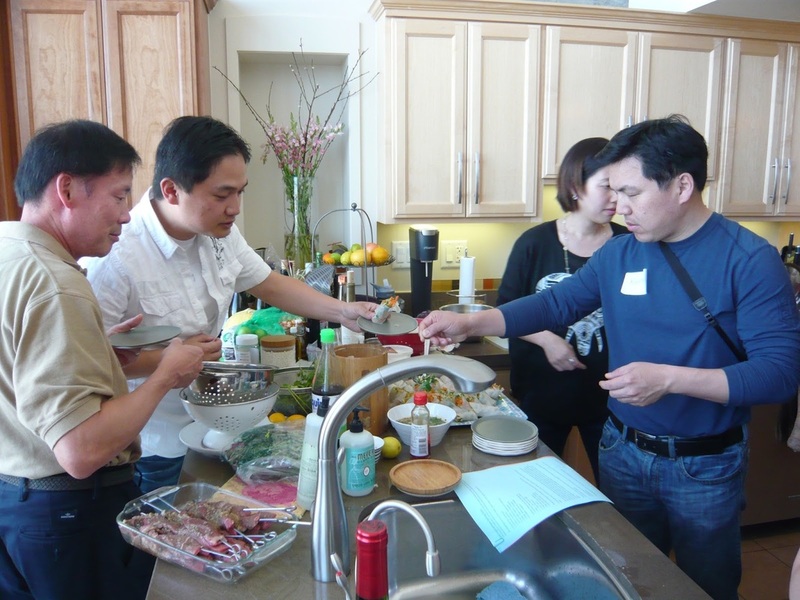 ABL-SF not only connects its members with business leaders in the community but also actively addresses key issues facing APA/I professionals and Asian-owned businesses. For event photos by Michael Jeong and Ismail Moylan, click here. The Asian Business League - San Francisco cheered on the NBA Champions - our Golden State Warriors on Tuesday, Nov. 17 at Oracle Arena. We also had a chance to sit courtside during the Warriors warm-up session! Thanks to everyone who made it out and to our friends at Nakayoshi NCWNP Young Professionals and San Francisco Asian Professionals Meetup for joining us in our section! The Asian Business League - SF (ABL-SF) hosted our 3rd Annual BBQ and Picnic on Sunday, October 25 at Rengstorff Park in Mountain View, a fun outing for ABL-SF members, friends, and family! Beer lovers were in for a treat as Almanac Beer tastings were also available at the event. 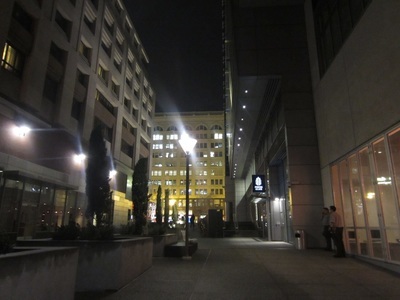 Have you ever thought about marketing your business services to the City of San Francisco or even large corporations? On October 14, the Asian Business League - San Francisco hosted a special panel, sponsored by Wells Fargo, on identifying non-traditional sources of revenue for minority owned business enterprises. Esteemed panelists: Lamar Heystek, Minority Business Development Agency Business Center Director, Mark Quinn, Small Business Administration District Director, Ryan Briscoe Young, Contract Compliance Officer, City and County of San Francisco and Hector Gandhi, Wells Fargo's Vice President Commercial Loan Officer shared their insight on how people can obtain contracts with the local or state government or companies who seek supplier diversity. Mike Pyon, Asian Business League Vice President moderated the event. ​For more event pictures click here. The Asian Business League - SF teamed up with our friends at Pine Tree Energy Council, a non-profit with a relentless drive for the environment and better energy efficiency, to host a joint networking mixer on Wednesday, Sept. 30th at 03 Bistro and Lounge located at 524 Van Ness Ave. in San Francisco. For additional event photos courtesy of Megan Kung, click here. The Asian Business League - SF teamed up with our friends at the Asian American Bar Association of the Greater Bay Area for a joint hike to Land's End in San Francisco on Sunday, August 30th, exclusively for our members and those invited by our members. For additional hike photos courtesy of Shiyi Lucia Huang and Angela Pang, click here. On July 29th the Asian Business League of San Francisco and the Asia Society Northern California Young Professionals Group presented a joint screening of the documentary CROCODILE IN THE YANGTZE by Director Porter Erisman at the Ninth Street Independent Film Center in San Francisco. The event drew over 50 people. Described by Forbes.com as a “A rare behind-the-scenes look at China’s Internet revolution,” this film follows China's first Internet entrepreneur and former English teacher, Jack Ma, as he battles US giant eBay on the way to building China's first global Internet company, Alibaba Group. An independent memoir written, directed and produced by an American who worked in Ma's company for eight years, CROCODILE IN THE YANGTZE captures the emotional ups and downs of life in a Chinese Internet start up at a time when the Internet brought China face-to-face with the West. The Asian Business League - SF teamed up with our friends at the AABA - Asian American Bar Association of the Greater Bay Area for a joint hike on Sunday, July 26 at the Redwood Regional Park in Montclair exclusively for our members and those invited by our members. The hidden redwood forest lies off Redwood Road just a few miles over the ridge from downtown Oakland. The forest's peaceful groves give little evidence of the park's bustling past – in the mid-1800s the area was the scene of extensive logging to supply building materials for the San Francisco Bay Area. The logging era has long since passed, and a stately forest of 150-foot coast redwoods (Sequoia sempervirens) has replaced those cut down. ABL's hikes will take place the last weekend every month and will be a fun and informal way to meet new people, network, and explore the beauty of the Bay Area. 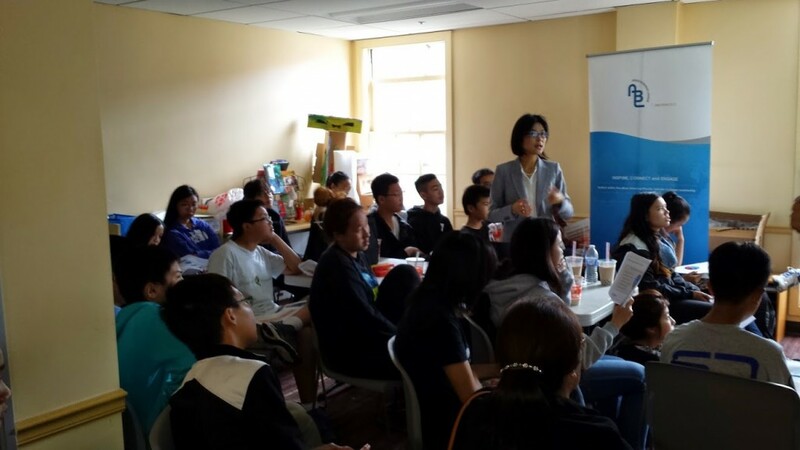 As part of the ABL-SF (Asian Business League of San Francisco), efforts to inspire the next generation of leaders, we partnered with the Chinatown YMCA's summer youth program to host a one day Startup Boot Camp for San Francisco high school students on July 23. Armed with the tools they learned, teens broke up into teams to come up with a business plan to pitch to judges: Jin Park of Pine Tree Energy, Syndey Wuu of Davis Innovators, Alex Beroza of Pine Tree Energy, and MIT alum Xian Ke. The winning pitch came from an all girl team that proposed an organic boba company - called Simply Good Boba. The Asian Business League - SF teamed up with AABA members for a second joint hike. This hike took place at the Picchetti Ranch Reserve in Cupertino. The group hiked the Zinfandel Trail - a 1.9-mile long, easy hike through shaded areas lush with ferns and a view of Stevens Creek Reservoir; the trail connects with Stevens Creek County Park. Afterwards, some of the group tasted wines from the the Picchetti Winery. Approximately 30 Bay Area professionals gathered at Sedgwick LLP to hear author Susan Chritton (Personal Branding for Dummies) discuss building one’s personal brand on June 25. 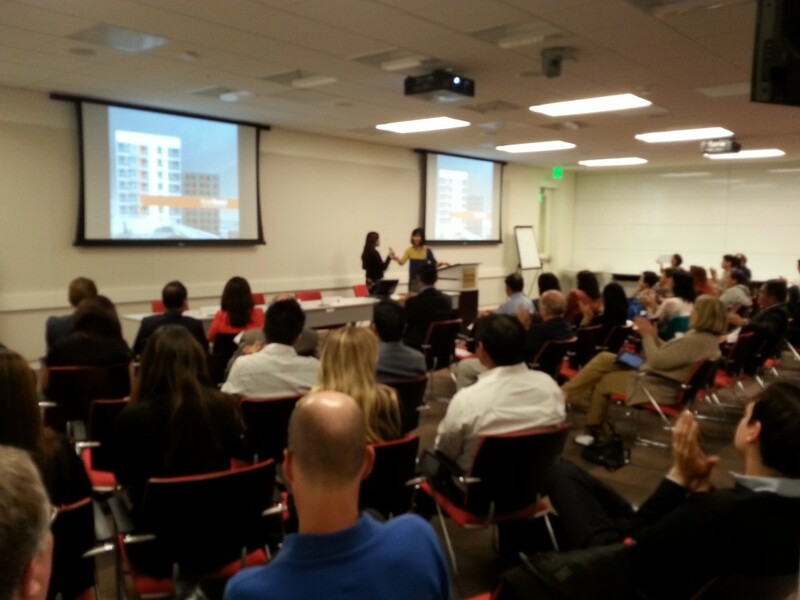 The event was organized by the Asian American Bar Association, in conjunction with ABL-SF. Susan said that at bottom, good branding is good storytelling. Therefore, it’s important to be able to clearly tell the unique story of YOU. Susan noted that most professionals have little problem listing their rational attributes, for example, degrees, licenses, years of experience, etc. However, many professionals have difficulty articulating their emotional attributes (answers to the question, “Why should I like you?” --i.e. “is this person kind, funny, empathetic, etc. ?”) Both rational and emotional attributes are important, according to Chritton, in standing out in a crowded market. Susan also talked at length about LinkedIn, which she views as a critical part of branding. If you don’t have one up already, try adding a professional-looking photo to your LinkedIn profile. Whether rational or irrational, people look for photos and don’t trust profiles without one, said Susan. Similarly, Susan urged her listeners to take full advantage of the 2000-character LinkedIn “Summary” section, rather than just listing their current position. Numbers of LinkedIn contacts are also important, according to Susan. Again, whether rational or irrational, Susan noted there is a bias against someone with just a few contacts. However, if you are just getting started on LinkedIn, don’t worry, Susan herself would like to connect with you: https://www.linkedin.com/in/susanchritton. 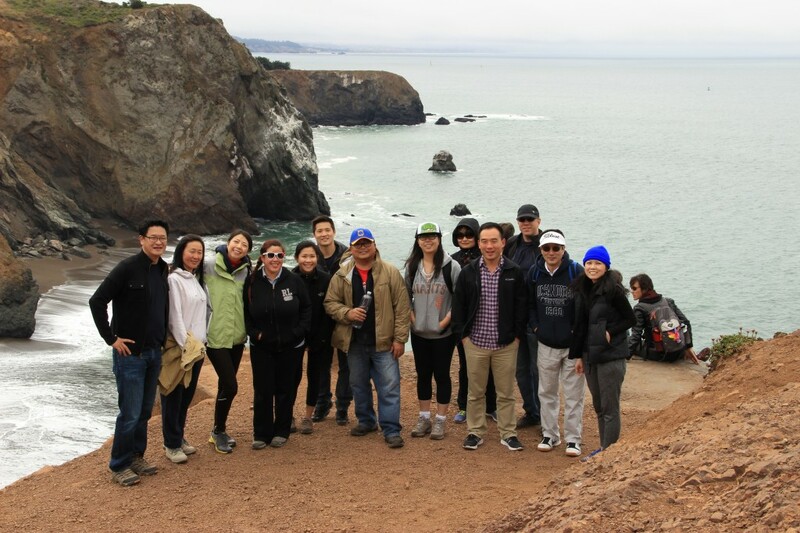 The ABL-SF (Asian Business League of San Francisco) first monthly hike to Tennessee Valley in the Marin Headlands took place on May 30th and drew 15 people! Tennessee Valley contains a bevy of wildlife; from mighty raptors to common swallows, the birds of the valley will keep your eyes on the skies. This 2 hour morning hike was led ABL Board Member Stephen Jeong. For additional event photos, click here. ABL’s hikes will take place the last Saturday of every month and will be a fun and informal way to meet new people, network, and explore the beauty of the Bay Area. Stay tuned for details on the next hike set for June 27th. Event speakers included: Andrew Ly, President and CEO of Sugar Bowl Bakery, Ted Fang, Executive Director of AsianWeek Foundation, Co-Founder of SF Hep B Free, Rick Gutierrez, Managing Partner of InTune Search and InTune Partners, Bob Linscheid, President & CEO – San Francisco Chamber of Commerce, Brenda Kwee McNulty, Executive Director of the Association of Asian American Bankers. For more, see our blog post. 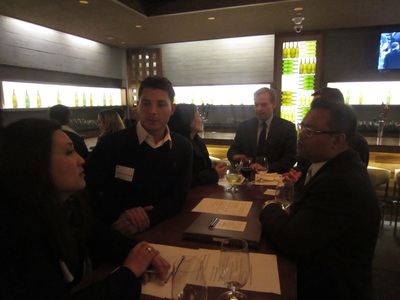 The Asian Business League of San Francisco (ABL-SF) hosted a kickoff mixer for its inaugural Corporate Asian Leadership Program (CALP) based off our popular leadership program You are the CEO of You on April 16 at Cigar Bar and Grill! This bi-weekly, five-part seminar series has been uniquely developed for the men and women of APSIRE at MUFG Union Bank. Each session is carefully designed to provide an intimate learning environment for participants – to explore concepts and acquire skills necessary for professional and personal success. Special guest speakers will be coming in bi-weekly, followed by small group breakout sessions led by Michael Lee and Mei Ling Yiu. The first session is April 23rd from 6 to 9 p.m. If your company is interested in having ABL-SF produce CALP for at least 15 your employees, please contact Angela Pang at angelapang@ablsf.org for more details. 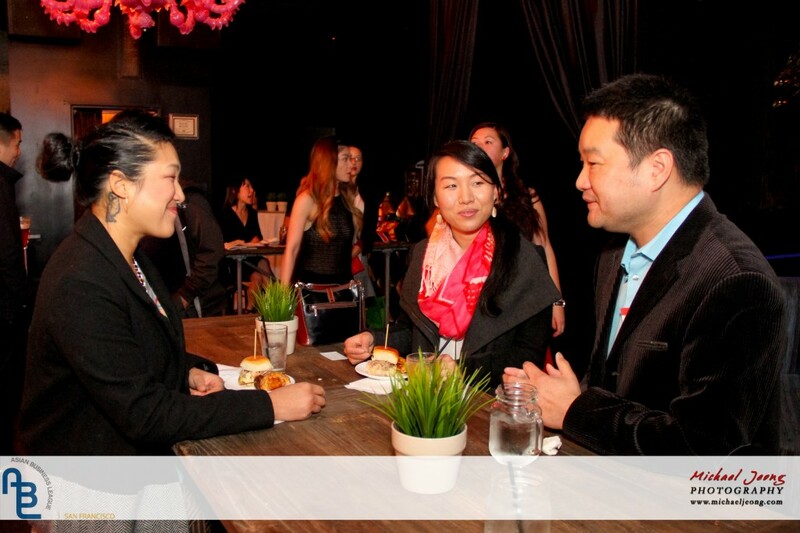 90 professionals came to celebrate the Lunar New Year with the Asian Business League of San Francisco on Tuesday, March 3 at Drake SF located at 508 4th St. in San Francisco. Guests enjoyed complimentary fortune telling provided by Dr. Thanu Pillay and Ken Hirano and complimentary massages courtesy of David Holcomb. Special thanks to ABL-SF Lunar New Party – Year of the Goat sponsor - Comerica Bank and Red Envelope Sponsor - San Francisco – Shanghai Sister City Committee. Community partners for the event included the Corporate Asian American Employee Network (CAAEN), Filipino American Arts Exposition (FAAE) / Pistahan Parade and Festival, Hyphen magazine, KPIX CBS San Francisco Bay Area, Nakayoshi NCWNP Young Professionals, Oakland Asian Cultural Center, San Francisco Asian Professionals Meetup, andTaiwanese American Professionals – San Francisco Chapter (TAP-SF). Event photos courtesy of Michael Jeong Photography. For more info on ABL-SF, visit: www.ablsf.org. For full event photos by Michael Jeong, click here. The Asian Business League - SF in collaboration with the Chinatown YMCA organized a free Career Discovery Day panel for high school and college students on Jan. 30th. The event drew approximately 80 youth from high schools including Galileo, Lincoln, Lowell, and Washington and also a few participants from San Francisco State University and City College of San Francisco. Speakers included: San Francisco Assessor-Recorder Carmen Chu, KTVU Channel 2 News Anchor/Reporter Claudine Wong KTVU, Founder and CEO of Flow State Media Kahn Jekarl, Super Resolution Specialist at Carl Zeiss MicroImaging Bryant Chhun, North East Medical Services (NEMS) - Pediatrician Mabel Yang, and MUFG-Union Bank Director of eMarketing Juan Silvera. Panelists stressed the importance of going to college and being persistent when pursuing their dream job. Dinner for the guests was sponsored by Recology. The Asian Business League – San Francisco cheered on the Warriors when they beat the Pacers, on Wednesday, January 7th at Oracle Arena. Thanks to the 59 members and friends who joined us for the sold out game. Attendees received a commemorative Asian Heritage Night t-shirt and the first 10,000 fans to enter the arena received a Bobblehead of Draymond Green. Toy drive success! Guests also brought in a new toy to be donated to either children at Gordon J. Lau Elementary School in San Francisco's Chinatown or children in the Galing Bata bilingual program at the Filipino Education Center. 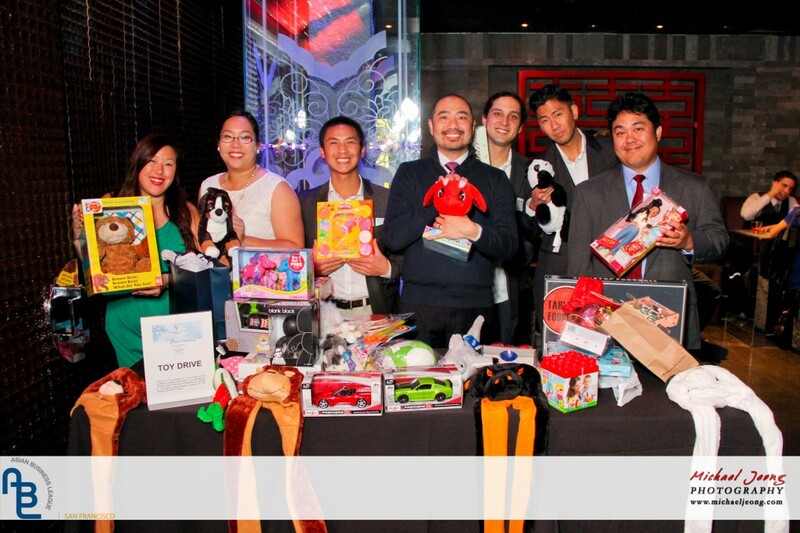 Asian Business League (ABL) celebrated the holidays on December 2, 2014 at Infusion Lounge located at 124 Ellis St. in San Francisco with over 120 people. Attendees met and connected with other Asian professionals over hors’dourves and enjoyed a free photo booth generously donated by A Vanity Affair. 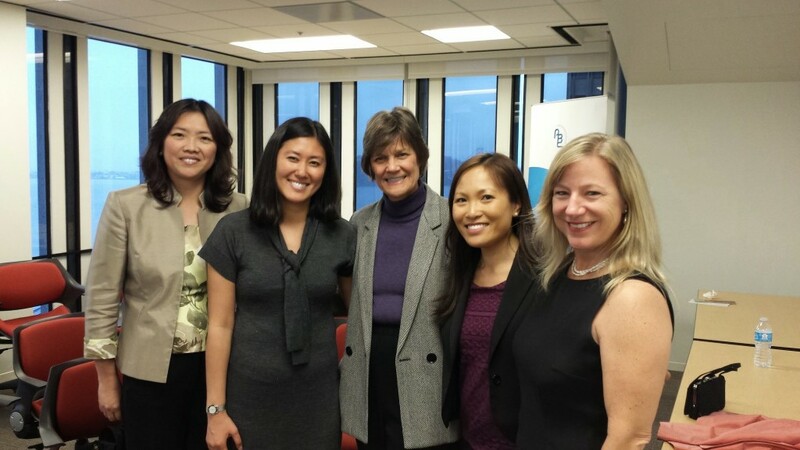 Special guests included San Francisco Assessor-Recorder Carmen Chu and Supervisor Norman Yee. Guests also brought in a new toy to be donated to either children at Gordon J. Lau Elementary School in San Francisco’s Chinatown or children in the Galing Bata bilingual program at the Filipino Education Center. Special thanks to our community partners: Asian American Bar Association of Greater Bay Area, AsianWeek Foundation, Center for Asian American Media, Corporate Asian American Employee Network, Korean American Professional Society, Nakayoshi Young Professionals, San Francisco Asian Professionals Meetup, and Taiwanese American Professionals-SF. ABL-SF and Wells Fargo presented “Financing Your Growing Business” panel discussion on Sept. 30th, 2014 at the Wells Fargo Events Center in San Francisco. The event drew a packed house. Keynote Speaker Sylvia Kwan founded Kwan Henmi Architecture/Planning, Inc. in 1980 with a commitment to the success of her clients and the realization of their design objectives. Sylvia was also a contestant on “Survivor: Fiji.” Other speakers included: Linda Wang Lee, Wells Fargo Business Banking Manager, John Seeley, Acrius Capital Managing Director, and Lending Club Client Advisor Logan Shedd. For more event photos visit: http://plus.google.com/photos/105564893633863891114/albums/6070872309717682737. 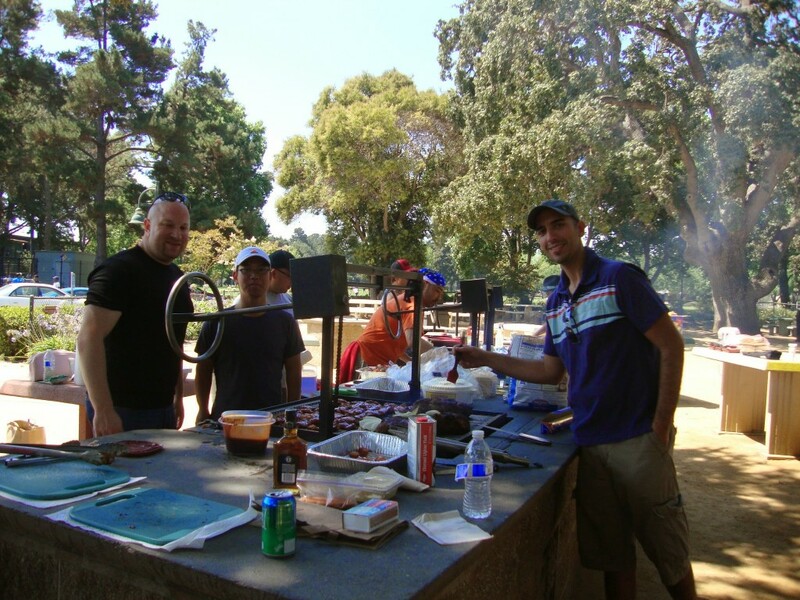 ABL-SF Board challenged your organization to a BBQ Throwdown on Aug. 2 at Rengstorff Park in Mountain View. For more event photos, visit: http://plus.google.com/photos/105564893633863891114/albums/6044496990355860577. Jane Wang from Merrill Lynch gave a talk to youth at the Chinatown YMCA about saving for college on July 21. For more event photos visit: http://plus.google.com/photos/105564893633863891114/albums/6070949001874234449. 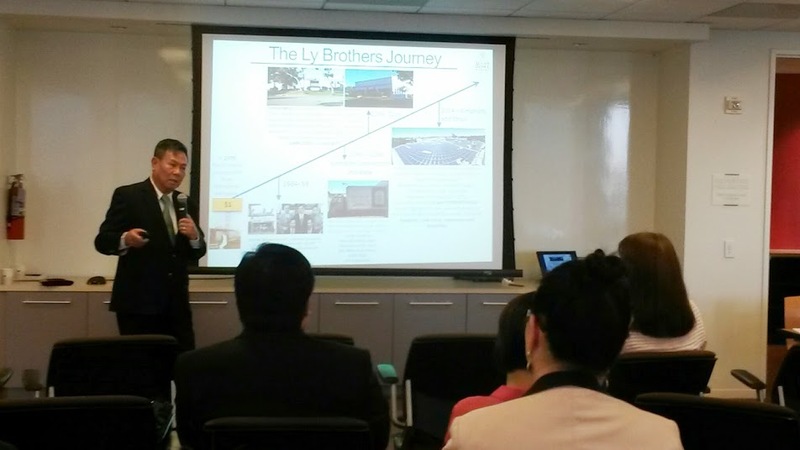 ABL-SF and Asian American Bar Association of the Greater Bay Area (AABA) co-presented: “Networking for Success: The Art of Conversation and The Key to Connecting” on June 26, 2014 at PricewaterhouseCoopers (PwC) in San Francisco. This workshop covered the fundamentals for building rapport, from evaluating your own personal communications styles to practicing the art of conversation. Christina Dunham was the speaker for the evening. Dunham has been in advertising, marketing and sales for over two decades, developing acquisition, retention and loyalty programs for start-ups, small businesses and Fortune 500 companies. For more event photos, visit: http://plus.google.com/photos/105564893633863891114/albums/6036040246412563745. A short 2 hour bay Area hike at Crystal Springs Reservoir on May 31. A fun networking activity with ABL members and non-members alike. For more event pictures, visit: http://plus.google.com/photos/105564893633863891114/albums/6020823404104662369. We learned some valuable tips on how to manage our online presence from Marina Sarmientos Feehan of Positive Counsel and Taek Chung of Adhusky. The event took place at PwC. For more event photos, visit: http://plus.google.com/photos/105564893633863891114/albums/6014078487283568913. 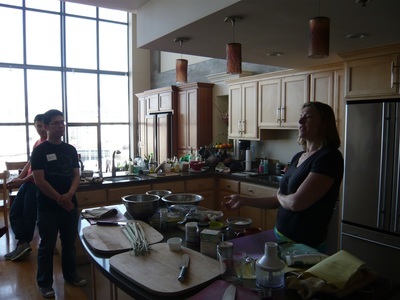 A mixer with The Huntington Library, Art Collections, and Botanical Gardens took place on April 24 at PwC. For more event photos, visit: http://plus.google.com/photos/105564893633863891114/albums/6006275244712576385. 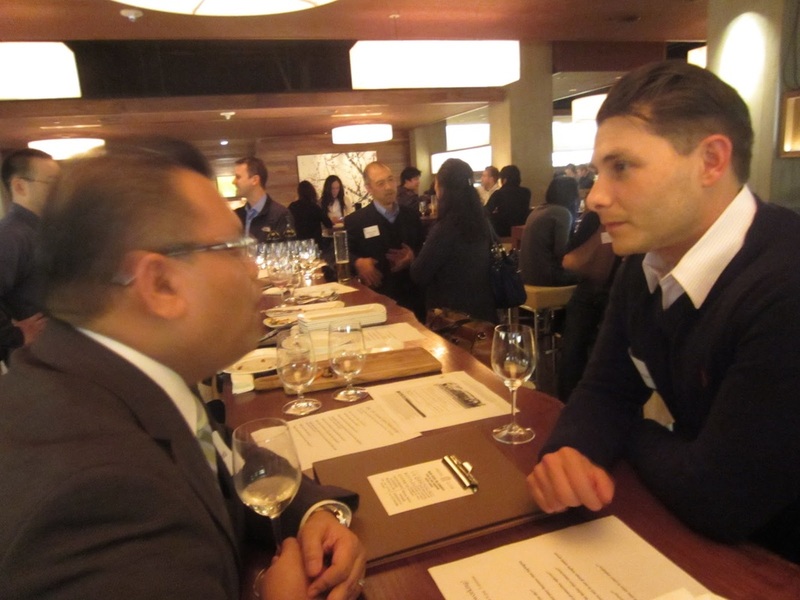 ABL-SF celebrated the Year of the Horse with a networking mixer at L’Olivier Restaurant in San Francisco. Over 50 people gathered at the event from various industries including banking, legal, finance, food services, and technology to learn about ABL-SF’s rich history, mission to promote Asian business leaders, and current programs. General elections results were also announced, and the Board members were introduced. Networking was lively and engaging throughout the evening. ABL-SF partnered with the Chinatown YMCA to facilitate an interactive app testing session. 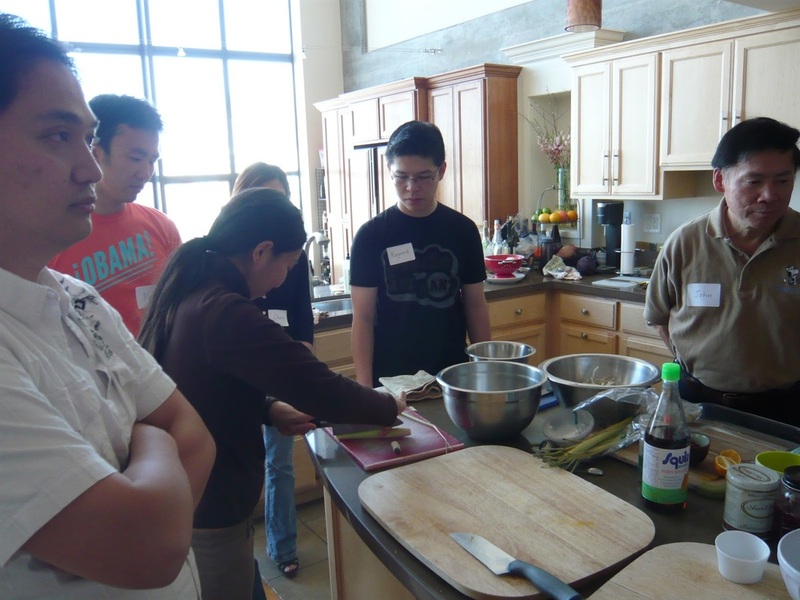 Participants from YMCA included freshmen from Lowell High School and Wallenberg High School in San Francisco. ABL-SF participated in the Asian Heritage Night with the Warriors. The Warriors ended up losing to the Wizards (88-85), but it was still a fun event! ABL-SF’s inaugural BBQ Throwdown went to Victor’s team. Congratulations, Victor! ABL-SF community at large met over BBQ and games at the annual ABL-SF Picnic. If you are a BBQ master, enter this year’s competition to win. Thanks to those who attended the event. Thanks to those who attended our inaugural event. Click below for photos from the event. Thanks to our speaker, Chip Doyle of Sandler Training, for providing us an informative training session on consultative selling. Below are photos from the event. Thanks to those who attended the happy hour event in Burlingame. It was great to see some new faces. The Spring cooking class on April 13, 2013 introduced Alumni of the You Are the CEO of You to an interactive culinary experience. 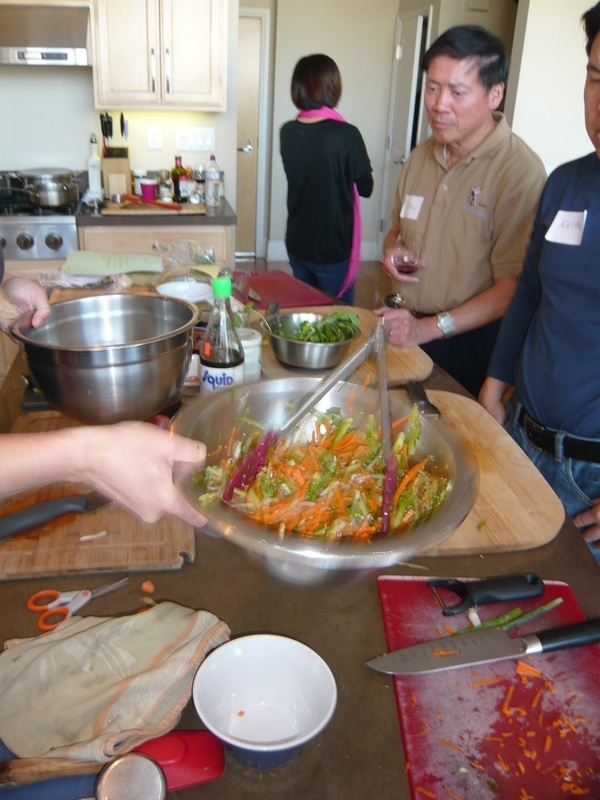 They cooked and ate the delicious Vietnamese meal they cooked. See photos below for details. CEO alums welcomed the incoming class of 2013. It was great to see some familiar and new faces. It was also fun playing the game of experience bingo, and trying to figure out who loves fishing, camping, and backpacking. Click here to check out the photos. Thanks to everyone who came to the last informal happy hour event for the CEO alumni, and brought a guest. It was wonderful to see some new and familiar faces. It was also great to see some connections made as well. Here are some photos from the event. Click here to check out the photos.